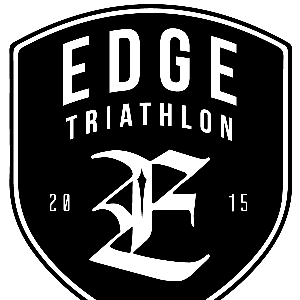 Edge Triathlon includes athletes ranging from beginners to elite across all distances of triathlon. Philosophy: Athletes are capable of amazing feats when given the proper support in the right environment - the human body is highly adaptable. Our program is based on a series of subtle progressions that allow the athlete to consistently elevate themselves to the next level. Taking a long-term approach generates consistent and progressive performances. Jeff grew up in Niagara where he enjoyed an illustrious high school cross country running and track & field career winning multiple Ofsaa medals and securing a full ride scholarship to Syracuse University where he studied Nutrition. Following his studies, Jeff went on to represent Team Canada in Cross Country running at the 2006 World Championships in Japan. Shortly after, Jeff transitioned to the sport of triathlon and spent two years training and competing as a member of Triathlon Canada’s regional training centre in Guelph. Jeff has now completed his Master's in Applied Health Science at Brock University where he interviewed professional triathlon coaches on their motivational strategies. This research has provided the framework on which Edge Triathlon has been built. Kyle spent 12 years as a professional triathlete and member of Canada’s National Triathlon Team. During this time he narrowly missed the podium at two Pan American Games with 4th place finishes in 2007 and 2011. In 2012, he won his first Canadian Senior National Championship, his first ITU World Cup title, and represented Canada at the Olympic Games in London. Following that memorable 2012 season, Kyle added two more National titles (2013 & 2014), three World Cup medals (2 Silver, 1 Bronze), and most recently represented Canada at the 2014 Commonwealth Games in Glasgow, Scotland and 2015 Pan American Games in Toronto. Success. Coach Jeff Scull & Kyle Jones has been notified of your message.